Graphics Bite - IT and Consultancy based in New Milton, Hampshire. From Website Design to Google Ads, We've Got YOU Covered. 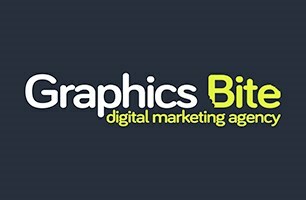 Graphics Bite is a 5* rated web & digital marketing agency based in New Milton, covering Bournemouth and the New Forest. We believe in taking businesses online the right way. We love what we do, which is why we're No.1 on Google for website design in the New Forest. We've worked with over 300 clients, ranging from local tradesman to England Football Legend Paul Gascoigne 'Gazza'. With years of experience in the design, marketing and web industry, we know everything there is to know about Website Design, SEO, Pay-Per-Click Advertising, Email Marketing, Social Media and Graphic Design. Whether you want a website for your business, or want help with managing your online advertising, we're the agency for you! Take a look at our reviews on the internet to see how good we are! If you have any questions, feel free to give us a call for a friendly chat to discuss your project. New Milton, Bournemouth, Christchurch, New Forest, Poole, Highcliffe, Brockenhurst, Lymington, Southampton, Ringwood, Sway, Wimborne, Fordingbridge, Blandford Forum, Lyndhurst.